When I was on my LDS mission in New York State over two years ago I met a lady named MJ. I got to know her and her family really well over well and I loved spending time with them. They also had a cute little kitten that I absolutely adored. She made dinner for us about once a week and we would teach a gospel lesson afterwards. So she messaged me on Facebook this week and told me she was making gluten free zucchini bread. 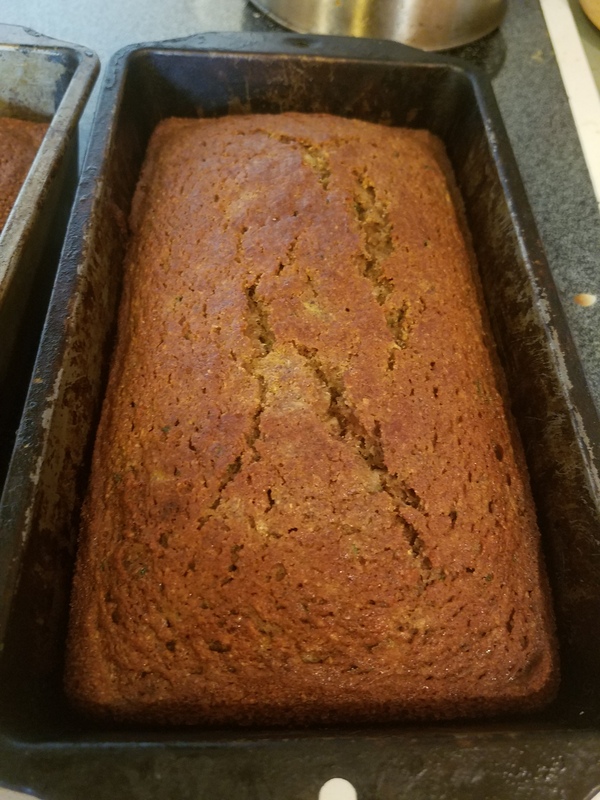 So I begged for the recipe, tried it and loved it! We’ve been overflowing with zucchini from the garden lately so I was super grateful. This recipe is really delicious. The texture is perfect; it doesn’t fall apart, and it’s super spongy. The only problem with it is it disappears shortly after it comes out of the oven. I love this recipe and I think you will too. I did make a little change to it. I replaced a cup of rice flour with a half cup of almond meal and a half cup of flax meal to avoid using xanthan gum. Nothing too special here just add all of the ingredients together and make sure to mix well. Grease two medium bread pans and pour in the batter. Then cook at 375 degrees for 1 hour. 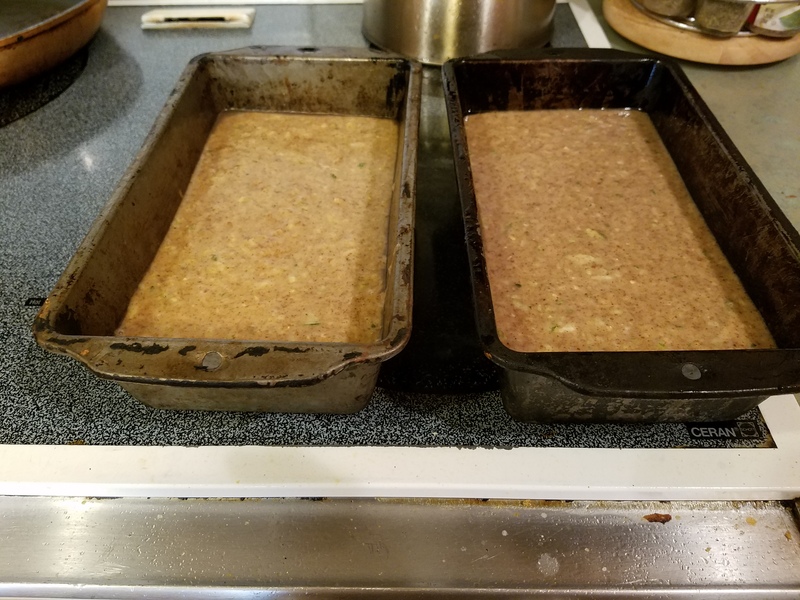 You’ll know for sure that the zucchini bread is done when you stick a fork in and it comes out clean. I’m kinda addicted to this recipe right now. It’s probably because I’m just addicted to zucchini in general. I’ve been eating it in at least one meal a day lately.